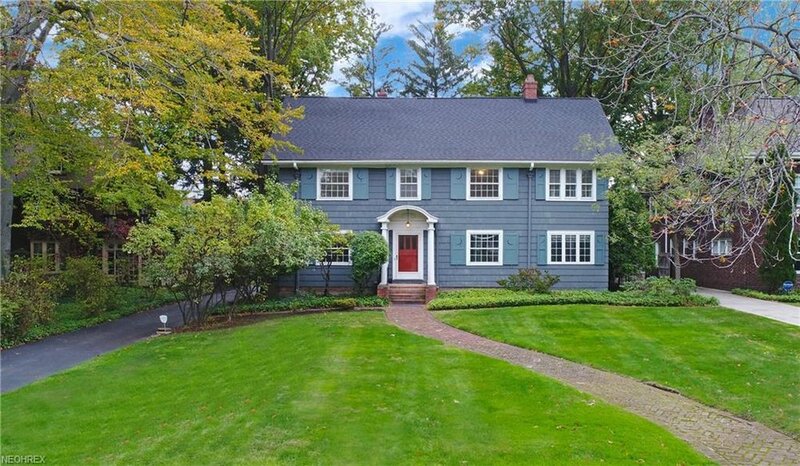 Spacious Demington Drive -Euclid Golf Center Hall Colonial. The open and bright first floor with hardwood floors and if freshly painted. The living room with a fireplace and an attached large sun room/family room with having built-ins and patio doors to the backyard. The dining room has a lovely bay window nook. On the first floor as well is an updated, eat-in kitchen having granite counters and a skylight as well as a new refrigerator. Going up to the second level you will find 4 generous bedrooms and 2 full bathrooms. One of these bedrooms being the master bedroom with a walk-in closet. The 3rd floor contains a finished bedroom with a full bath attached, on the same level there is huge attic space with expansion potential. Beautifully finished lower level recreation room includes a fully tiled laundry room with a half bath. Other amenities include an attached garage and central air. This home sits in a fabulous location, walkable to Cedar Fairmount Shops & Restaurants.